Use this map to keep your neighborhood trees watered! 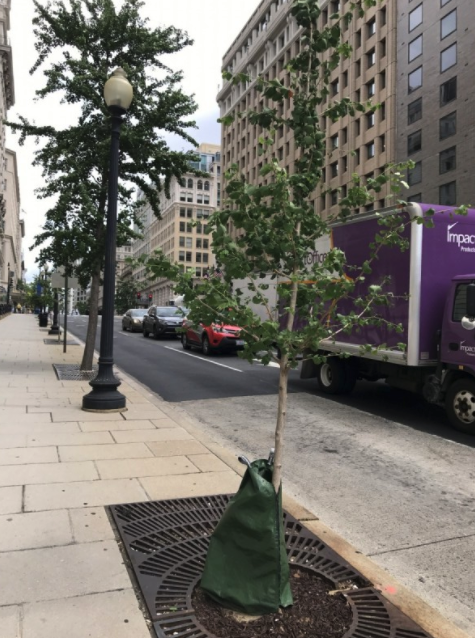 Last year, DC’s urban forestry division planted 4,200 young trees, and if they’re going to grow big and strong, they’ll need a lot of water. That’s where you come in: to make sure each tree stays hydrated, use this interactive map to zoom in on a place (like your neighborhood) and see which trees need watering. DC’s Department of Transportation (DDOT) made the map. To find trees in your area that you can help, just enter an address. From there, you’ll see an array of gray and green dots. The gray dots are mature trees and the green dots are young trees. Generally, all trees need to be watered regularly but the app focuses on young trees, which have been planted less than a year. You can also identify these young trees in person by the big, green water bags at the base of their trunk. In the meantime, you can learn about the trees that provide pedestrians with canopy and shade, and help keep trees healthy. Each tree has its own profile, that lets you know what kind of tree it is, when it was planted, and when it was last watered. 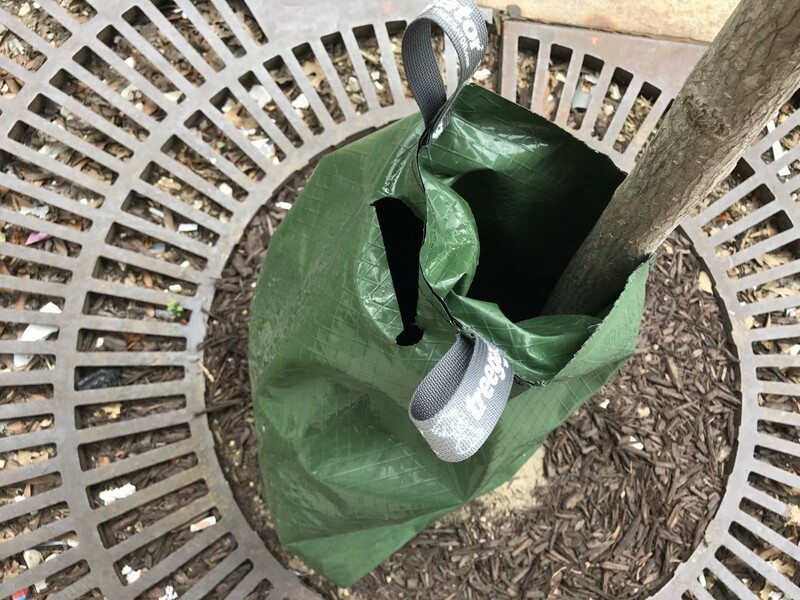 Once you find a tree you want to water, you can start filling the outer compartment of the water bag (be careful to not fill the inner compartment that is around the trunk). The bags release water slowly into the soil for thirsty roots. When you’re done filling it with water, take a photo of the tree and add it to that particular tree’s entry on the map so that DDOT knows the tree has been watered. Spot some brown leaves? You can also use the app to report any issues you see. Filling the bags is easier if you can access a hose nearby, which is difficult in the busier downtown areas. But if people take care of trees outside of hard-to-reach areas, it makes it easier for DDOT to cover those places. The app is a work in progress, according to the Forest Hills Connection blog. DDOT’s Urban Forestry division wants help improving it, possibly to color-code the mature trees in a different color so that residents know more about what those need, too. Another benefit to these pocket guides? You can identify those sneeze-inducing male ginkos a lot easier.